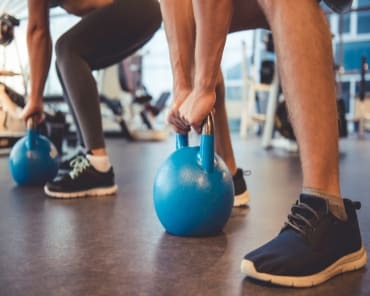 At Specific Sports Training, we offer....well, just that - the highest-quality instruction for athletes and competitors across a wide range of skill sets. And guess what? It's not just limited to those of us in the primes of our lives. We are proud to work with everyday men and women hoping to complete a triathlon or try out the world of competitive racewalking. Whatever you need to make your body more efficient and effective, we're here to make it happen. Join us in Seminole today to see it all for yourself or fill out the short form on your screen to learn more! So, What's Covered In Our Sports Performance Training? Like we said, almost everything. At Specific Sports Training, we're committed to making your body stronger, faster, and less prone to injuries. We're here to help you improve your stamina and recover faster between games. And we're doing it all with an eye on improving your performance where it matters most to you. Tennis Training: Build your lateral movement and quick-burst speed with a focus on maintaining upper-body control from any position. We'll help you stop on a dime and generate power from the forehand, backhand, and serving positions. Golf Training: Body alignment and joint mobility training will help you coil and recoil more effectively in every shot. We're helping you develop the core strength to stay in control from the first tee box through the 18th green. Baseball Training: We're helping pitchers and position players get the most out of their game with functional strength training and lateral mobility work. 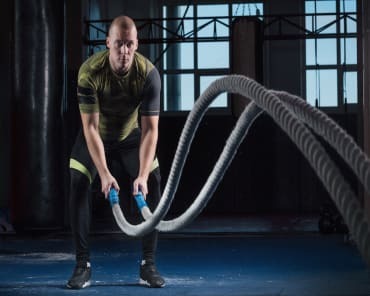 We'll help you improve your arm strength, connect with more power than ever before, and enjoy short burst speed that can't be matched. Triathlete Fitness: The ultimate total-body challenge. Our Triathlete training is designed to give you the well-rounded athleticism you need to bike with power and speed, swim with improved efficiency, and push through every run. Racewalk Fitness: That's right! You don't need to a be an elite athlete to compete. Take on the mechanics and mentality of racewalking with the help of our professional coaches. We'll help you move pain-free and develop incredible stamina along the way. We're Proud To Serve Athletes All Across Seminole. Take On Our Sports Performance Training Today! Are you ready for a fitness program that finally caters to your unique needs? Welcome to Specific Sports Training in Seminole. Our Sports Performance Training is perfect for any age and skill set. We'll help you see real results in no time.